After graduating from Davidson College in 1994, David spent six years as a sales leader for First Union National Bank in Virginia. In 2000, he left First Union and started work as a property and project manager for Harris Associates in Davidson and Charlotte. 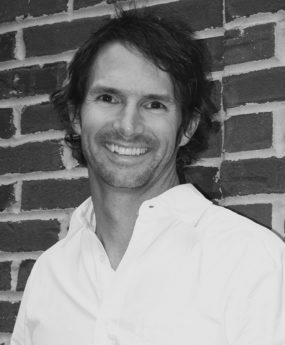 In 2001, while still working for Harris Associates, David moved to Davidson and started the executive MBA program at UNC-Chapel Hill and graduated in the fall of 2003. That same year he entered into an agreement to buy Harris Associates from Ed Harris and has continued to use the company as a platform for property management and development projects. The projects on which he has worked over the last 18 years vary dramatically in their tenant mix, credit quality, and size. Renamed The Stewart Group in 2009, the organization remains flexible and can effectively manage most any small-to-medium sized commercial project. David holds a broker-in-charge real estate license in North Carolina. In early 2010, David partnered with Michael Orlando and Greg Fallon to form TSG Partners, LLC, a commercial real estate firm that provides investment, management, and brokerage services for Davidson-area commercial properties. This has been an underserved niche in the area and TSG has successfully introduced a business model that services investors, tenants, landlords, buyers, and sellers. David and his wife, Betsey, live in downtown Davidson with their two sons, Winn (13) and Walker (11). Kenan-Flagler School of Business, University of North Carolina at Chapel Hill, Chapel Hill, NC. Master of Business Administration, August 2003. Completed the executive MBA program with a concentration in real estate development and courses in finance, accounting, operations, strategic management and economics. Woodberry Forest School, Woodberry Forest, VA. May 1990. A Giving Spirit Foundation, chair 2015- 2017 and board member since January 2010. AGSF benefits families experiencing adversity in the face of an unforeseen health challenge, as well as Project ALS and the ALS Division of the Muscular Dystrophy Association. The foundation was inspired by Laura and John Woodall (Davidson ’92) when Laura was diagnosed with ALS in 2007. Davidson Housing Coalition, board member from June 2006 – 2012. Also served on the DHC development and finance committees and provide guidance on the highest and best uses for DHC properties and potential acquisitions. Davidson College Mentor, mentor for four Davidson students since 2009. Mentors expose Davidson seniors to various aspects of life after college and provide advice and guidance on work, family, graduate studies, etc. Mecklenburg County Storm Water Advisory Board, board member June 2005 – June 2008, Vice Chair. Represented the three northernmost towns in Mecklenburg County (Davidson, Huntersville, and Cornelius) and advised Mecklenburg County Storm Water staff on a wide range of policy issues including flood plain regulation, development ordinances, annual budgets, and other water quality issues in Mecklenburg County.